Smoking the perfect ribs is a form of art. In the first half of this two-part BBQ ribs recipe you will learn how to prepare your ribs, from choosing to trimming to seasoning the ribs before you start cooking. Look for pork spare ribs at the store. Spare ribs usually have more fat and are juicy. The full spare has 11-14 bones, so you can count on 12 on average. Have an eye for great fat marbling that will keep the ribs from drying out while following this bbq ribs recipe. You will be going through some bone while trimming those ribs, so do not use a very delicate knife . You can use a regular chef’s knife or a cleaver – but make sure it’s sharp. Remove the last (smallest) rib towards the tip. Also remove the breast bone. You might go through some bone at this point, so be careful. Finally, trim off the skirt, any excess fat, loose pieces of meat and the membrane that is on the bone side of the ribs. Mix two parts pepper with one part salt. Add a little bit of chili powder . You can also add garlic or onion powder . If you do, go for the granulated version- if it is too powdery it will settle and clump without mixing properly. Finally add some paprika for the color. Mix well. 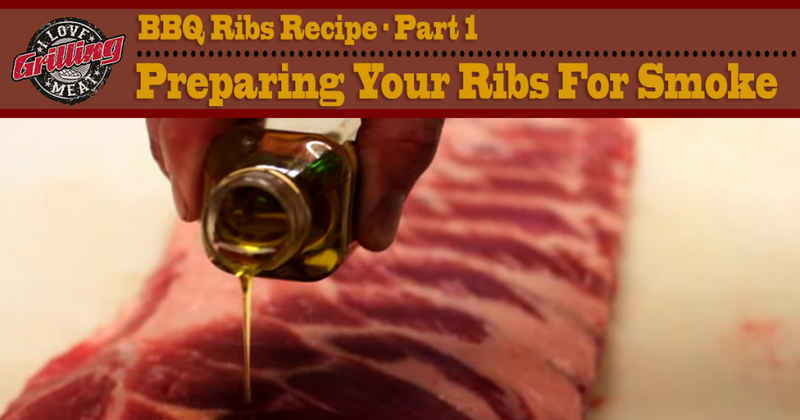 Rub in the ribs with some olive oil to allow the dry rub to stick to the meat. Unlike other types of meat, ribs are thin and there is not so much smoke that goes on them, so it is important to get an even coat with the rub. To achieve this, use a shaker . If you do not have one, try to get a uniform coat with not many bald spots. Beef Short Ribs “Texas Style” Recipe Beef short ribs are one of the most flavorful, delectable, tender pieces of meat you can possibly imagine—when grilled properly. In this step-by-step guide we will go through smoking on a Weber Go-Anywhere Grill, but you can follow on your regular grill or smoker as well.